Spackenkill Kitchen — Jeff Wilkinson, R.A. The clients who live in a mid-century modern felt the need to transform their formal kitchen and dining room layout into an open plan arrangement better connecting the house to the terrace and garden areas. 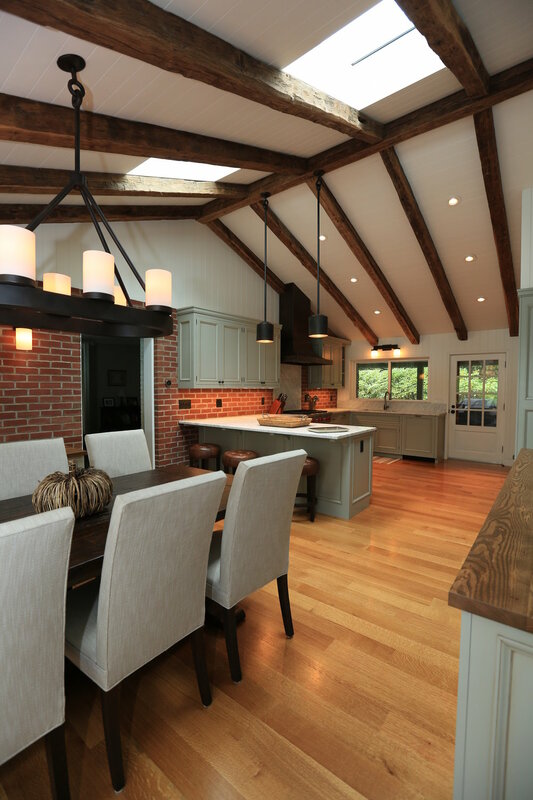 A raised ceiling with the vintage timbers was created. 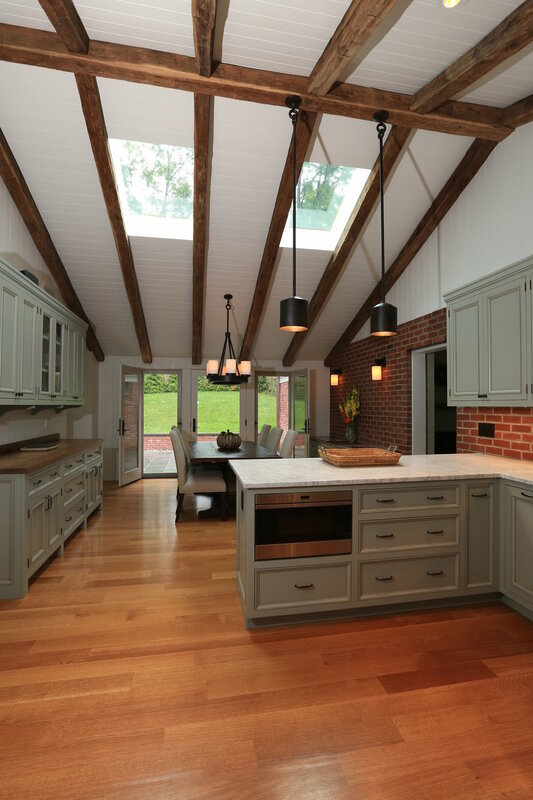 Skylights were added flanking a custom deigned pendant. Components include engineered white oak flooring with dove grey cabinetry. New French doors replace the older patio doors, opening onto a new bluestone terrace. 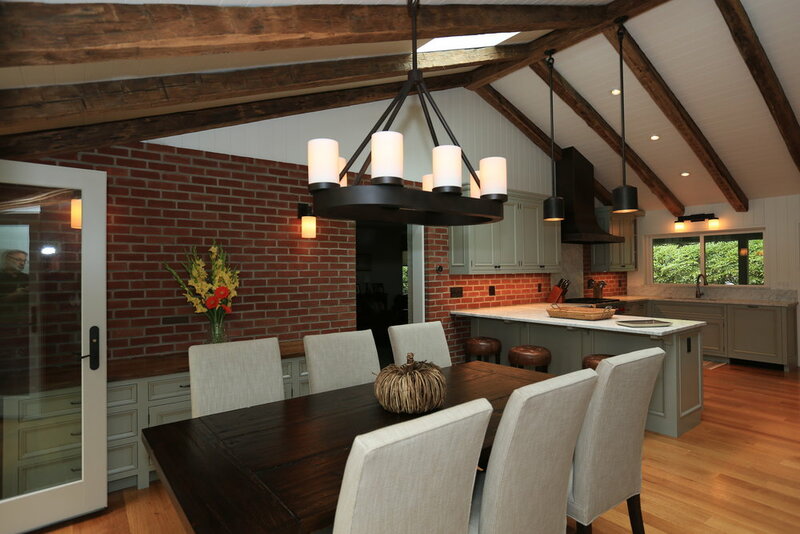 JWRA designs the custom cabinetry & range hood.